Data released by the Bureau of the Treasury (BTr) showed revenue collections rose by seven percent to P256.7 billion in January from P238.9 billion in the same month last year. MANILA, Philippines — The Philippines booked a budget surplus of P44.5 billion in January, four times the P10.2 billion surplus recorded in the same month last year due to lower disbursements as a result of the failure of Congress to pass the 2019 national budget. Tax revenues accounted for 92 percent or P235 billion of the January collections, while the remaining eight percent or P21.8 billion were from non-tax sources. Collections by the Bureau of Internal Revenue rose by 5.4 percent to P185.1 billion from P175.6 billion, while that of the Bureau of Customs went up by 18.5 percent to P48.4 billion from P40.8 billion. National Treasurer Rosalia de Leon said revenue collection efforts both by the BIR and BOC remains efficient. De Leon cited the increased excise tax on some products under Republic Act 10963 or the Tax Reform for Acceleration and Inclusion (TRAIN) Law. Likewise, she said the BOC managed to grow its collections amid process improvements such as tighter monitoring of imports and proper valuation of goods. Income and revenue generated by the BTr amounted to P9 billion in January, 12 percent higher compared with the 2018 performance. Meanwhile, non-tax collections from other offices remained steady at P12.8 billion. “There is a significant impact of the reenactment of the budget on spending particularly on the new expenditures and the capital outlays including of course the salary adjustments,” De Leon said. 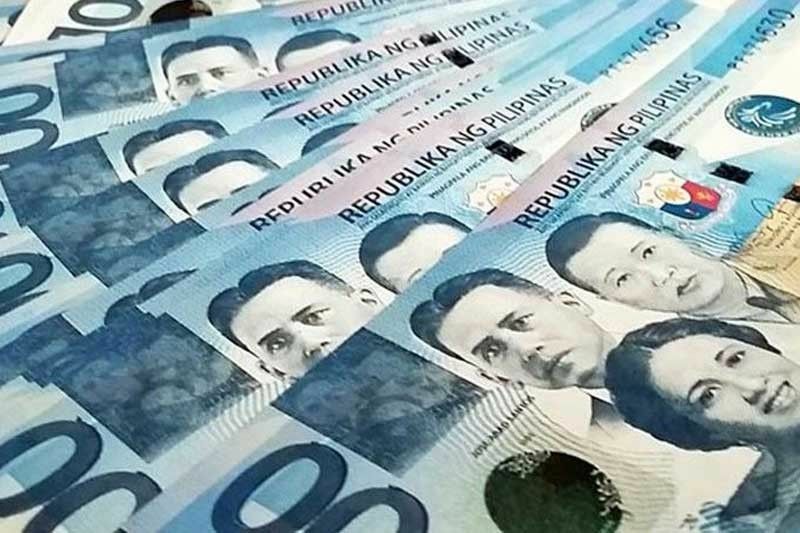 Data showed disbursements slipped by seven percent to P212.2 billion in January from P228.7 billion in the same month last year due to the failure of Congress to pass the 2019 General Appropriations Act (GAA). “The contraction in government spending resulted largely from the delays in the implementation of new government projects and salary adjustments due to the deferred passage of the 2019 GAA,” the treasury said. Interest payments grew by 2.4 percent to P45.9 billion from P43.5 billion due to the timing of payment for global bonds amounting to P1.2 billion paid in February last year, as well as upward adjustments in FX and LIBOR rates. The amount of interest payments was equivalent to 17.9 percent of revenues, down from 18.2 percent in January last year. The Philippines overshot its budget deficit ceiling of three percent of gross domestic product (GDP) last year. The shortfall reached P558.26 billion or 3.2 percent of GDP, 59.23 percent wider than the P350.6 billion booked in 2017. For 2019, the government has set a budget deficit ceiling of P631.5 billion or 3.2 percent of GDP. The Philippines has consistently been incurring budget deficits as it spends more than the revenues it generates. To plug the deficit, the government borrows from foreign and domestic sources.